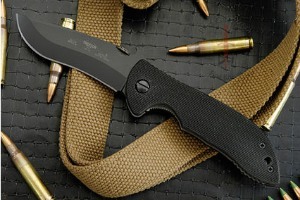 Description: The Emerson Commander won "Best Overall Knife of the Year" at the 1999 International Blade Show in Atlanta, GA. This award is judged by fellow manufacturers and is the highest honor and most sought after award in the cutlery industry. 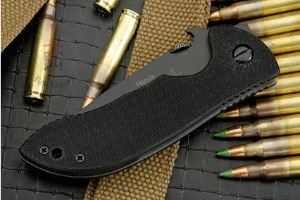 Here is the Emerson Mini Commander - a smaller, more pocket friendly Commander. 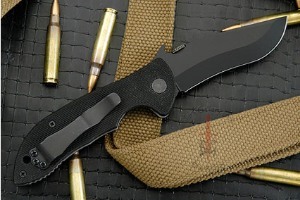 It has the patented Emerson Wave feature and is every bit as tough as the full-sized version. 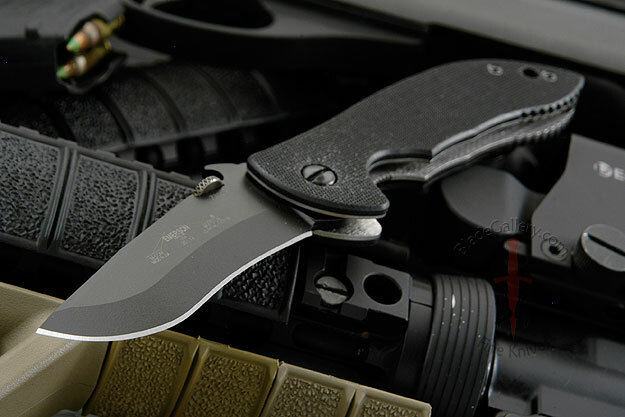 The 154CM stainless steel blade features a clip point and a dramatic recurve, with stonewashed flats and satin finished grinds emphasizing clean, precise grind lines. 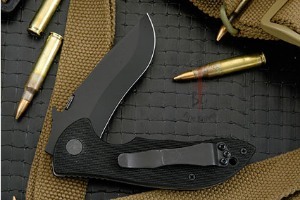 The Mini Commander has a hook (wave) near the thumb disk of the blade which, when snagged on the edge of the wearer's pocket or sheath causes the knife blade to open as it is drawn when worn on the right side of the body. 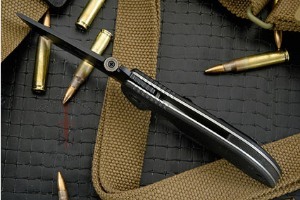 The thumb disk allows for ambidextrous opening. Textured G-10 scales keep the piece light and strong. Jimping on the spine and liners ensures a secure grip. A strong titanium locking liner completes the piece. 0.185546875 0.060546875 185.546875 60.546875 Trailer Started. 0.296875 0.111328125 296.875 111.328125 Trailer Completed.